Love,Hallmark Father’s Day Giveaway! : Win a Prize Package from the Ken Sheldon and Life is Good collections! 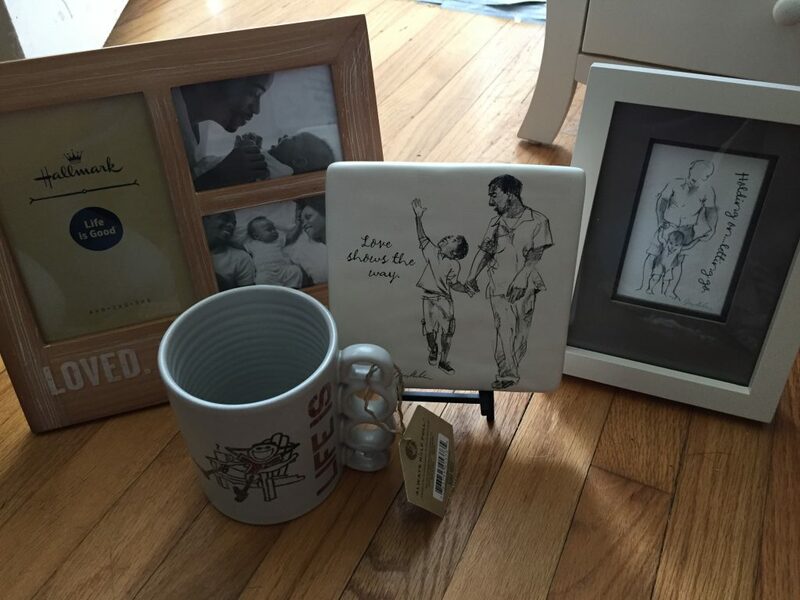 You are here: Home / Giveaways / Love,Hallmark Father’s Day Giveaway! Love,Hallmark Father’s Day Giveaway! Win a Prize Package from the Ken Sheldon and Life is Good collections! It takes someone special to be a Dad and Dads deserve something special on Father’s Day! Hallmark has a variety of special gift ideas and I love the package I received to review which includes items from the Ken Sheldon and Life is Good collections. I love that there is something perfect for a New Dad and even something for a Pet Dad! I have to say that because I do know a Man who has a dog that is simply like a child to him. This person is a very uplifting and positive man who does a lot for the community with his non-profit organization to help others including the homeless. My son and I presented this friend with the “Life is Good” Mug because he is to many…a positive role model to many that “life is good.” He actually says this quite often. The Life is Good Mug — No one deserves to kick back with a nice cup of joe more than dad. This mug is perfect for Father’s Day to show your appreciation for all his hard work. My husband is also a great Dad to our son and the Life is Good® Loved, Plain and Simple Multi-opening Picture Frame frame you see above is a gift that we are looking forward to giving to him this Father’s Day. I love that it simply shows that he is loved. I also like that there are 3 slots for photos. This one Holds 3 Photos – When you can’t choose just one… This frame has three slots for favorite photos that show the love, along with a simple, heartfelt sentiment. The Raised On Love 6×8 Framed Art – Add a sentimental touch to any décor with this framed print of a father teaching his baby to walk. Perfect for you or someone you love who knows the delicate balance of holding on and letting go. This one is absolutely perfect for a new Dad! I would have loved to give this one to my brother when he had his first son! The Love Shows the Way Decorative Tile is one of my favorites! – Stir up fond memories with this decorative ceramic tile’s image of a father and son walking hand-in-hand. I like this one because it is a perfect gift for a Dad of a young child or even a child who is a little older. It’s a sweet sentiment and it looks lovely in a room. You can find these and many other great gift ideas at Hallmark for this upcoming Father’s Day! We have teamed up for a special Giveaway! One winner will win the 4 items mentioned above as a prize package! To enter, leave a comment below telling us something special about the Dad figure in your life. It could be your Dad, Husband..about anyone who you feel is special on Father’s Day! Deadline to enter is June 19th, 2016 at noon PST. Winner will randomly be selected via Random.org. U.S. Residents only please. You will not receive before Father’s Day but this is a great set to have on hand for other special days for Dad! Self Disclosure: I received free samples for being part of #Love, Hallmark and facilitating this post. my husband is so patient and takes the time to teach my kids everything they ask about. My dad has taught me how to be a good person. he is a great role model for me. My dad is the best. With 3 girls, he had to put up with a lot of girly stuff! He always made time for us and played with us and taught us to love Ohio sports teams!